Hey there. I'm Cassandra Jackson-Baker. But you can call me Cass. 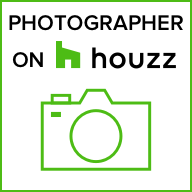 I am a photographer specialising in interiors, food, and travel imagery. I set up Little Stories. in 2017 to capture bespoke and engaging images that tell your business and brand's unique story so you can elevate your visual marketing strategy. I hold a BA in Visual Media from American University in Washington D.C. where I honed my visual story telling skills by focusing exclusively on photojournalism/editorial photography and cutting my teeth on the streets of the American capital. My photography balances the current trend for beautifully styled yet relaxed images with advanced photographic techniques. I love to work with natural light, lines, texture and symmetry and you will often find these themes in my work. As a trained photojournalist, all of my images are post-processed with a editorial eye. The end result is a polished image that looks natural. My work has appeared in The Guardian. Previous clients include Trivago and Google. 1) I grew up in New York City, but always knew I wanted to live in London. After living in Berlin, Sydney and Vienna, I finally made it to the UK in 2007. 2) I love cats! So much so, I used to own a cat-sitting business. 3) My husband and I are cycling mad. We own seven bicycles, including a tandem, and have cycled all over the world. 4) Peroni is my drink of choice. 5) I have this thing with mushy peas. I know, I know. Weird! But I love them. If you want to up your visual content game, then get in touch.